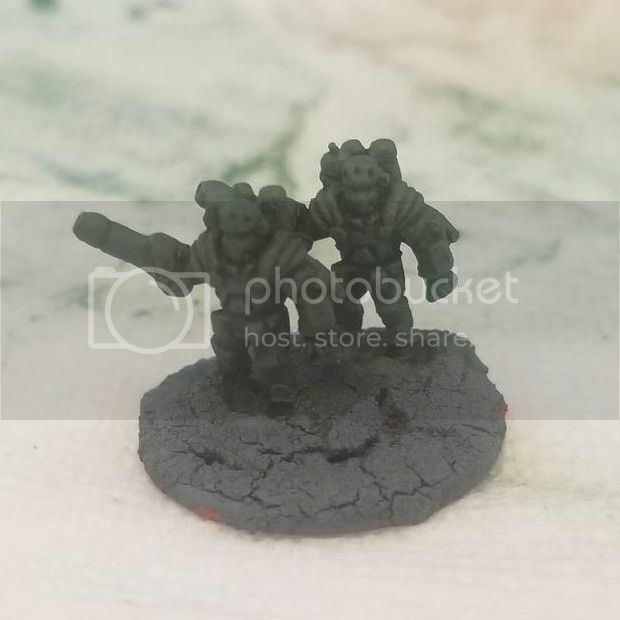 I was assembling some of what I thought were Grey Death Standard (Flamer, MG and Laser/LRR) models for my mercenary force, but after a second look at IWM's site they appear to be Gray Death Legion BA. Now I'm super confused because there are no "Gray Death Legion Battle Armor" in any of the TROs. Is this BA kit supposed to be Gray Death Scout Armor? Or are they something else? They're the GDL Scout BA. Thanks, I kinda figured they were, but they are the same size as IS Standard and have 3 different weapon arms so when I bought them I just assumed they were Standard since Scout doesn't have integrated weapons. Given GDL Scout armor is fluffed as using hand gloves & only being able to carry standard Infantry Weapons, well, I find it hard to buy into those minis being the "Scout" model, LOL. The only problem Hellraiser, is that the GD Standard that IWM sells clearly has the anti-infantry mount on the other arm and the only thing the GDL armor looks like is Scout. Do you buy into the artwork showing the "scout" model? Oh I get that the new model that IW has now made for the "Standard", 20 years later, is the "Standard"
But lets face it that artwork for the scout has never matched what the scout is supposed to have in its arms. And I've always found it odd that the original GDL boxed BA didn't clarify if it was Scout or Standard & clearly has Modular Weapons which match the standard. That original GDL picture in red has always had features that fit both the standard & the scout variants. Its like the artist didn't know what he was drawing. And then the boxed minis match it but its art that doesn't match the fluff for either suit. So while its great that we now have a "Standard" mini that you purchase singles of that clearly matches what its supposed to look like, we still have that funky looking "Scout" picture & a bunch of minis that no one wants to use in the dozens. Heck, if you look at FMMercs the caption doesn't even call it the Scout & instead seems to refer to it being their upgrade of "Standard IS BA". I know that NOW, 20 years later its the scout, but I'm saying that when that art was made & the original mini produced, to me, it would make sense that they were making the standard based on the fact that it was the only one w/ a mini & the caption doesn't call it the scout. In regards to the idea that this isn't supposed to be the scout armor. Its a black & white sketch, with distinctive hands in armored gloves & holding a rifle, it clearly has less armor plating, & is on the same page as the Scout Armor stats. 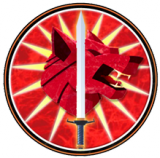 The picture I posted is the canon scout armor, and is supposed to be the canon scout armor. Anything else is non-canon. Obviously the official (canon) miniatures won't match your personal opinion. Page 134 isn't my opinion. Nor is it NON-canon. Its a drawing of light battle armor right next to the Scout Stats. And matches those stats. Meanwhile the Color photo you linked has nothing labeling it as Scout & actually describes the Standard BA as being Identical to IS but more streamlined & comfortable with added AP weapon. Nothing like the Ground Movement only w/ Sensors BA stats that we got in 3058U some 7 years later. This thread is being locked. The question was "what do the miniatures represent?" and that's been answered in the first post. Your welcome to message Speck privately to ask about the issue with the miniatures, which I recommend OP do.